Bryn Mawr Classical Review has just published two reviews which may be of interest to readers. 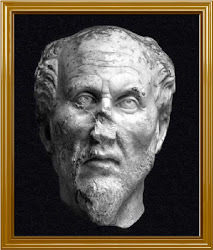 First is the eminent John M. Dillon's discussion of the new critical edition by Nicolas Vinel of Iamblichus of Chalcis' Commentary on the Introduction to Arithmetic (itself authored by the seminal, second-century Neopythagorean Nicomachus of Gerasa). Vinel furnishes Greek text, with French translation and commentary, in what is now the standard edition of the work. Read further here. Second is a review of Stephen Gersh's second installment in his project of Neoplatonism after Derrida. The mental gymnastics of secrecy, concealment, and revelation are explored here in a (post)-Modern engagement with the Platonic tradition that is nothing if not enthralling and exciting (albeit difficult reading at turns). Check out the review here. Network for the Study of Esotericism in Antiquity. Posted by Κατελής Βίγκλας at 12:27 μ.μ. BIG sale here on hundreds of volumes from one of the central series for primary sources in the study of Ancient Christianity. Lots of this material is unavailable online, so definitely worth checking out. Via Alin Suciu and Network for the Study of Esotericism in Antiquity. Posted by Κατελής Βίγκλας at 11:19 π.μ.